Writing in 2002, renowned nature journalist Michael Viney let loose his frustrations with Fianna Fáil and their inability to prioritise nature conservation when in power. Surely, he bemoaned, the great diversity of life upon which we all depend was at least as important as health or education? Yet, over 15 years on our politicians continue to struggle with the vocabulary of ecological collapse, particularly when it comes to the natural world. 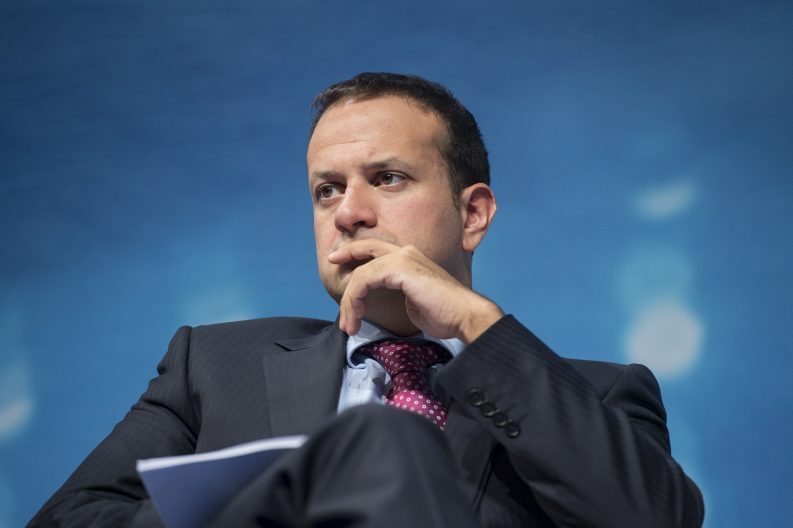 Last week, Taoiseach Leo Varadkar spoke at the Fine Gael ‘January Think In’ about his priorities for the next six months. Over a year before that, Varadkar had admitted to the European Parliament that he was not proud of Ireland’s record on climate change and admitted that we are a “laggard” in this regard. The language on climate from the party has ramped up markedly since then, with the newish Minister for Climate Action Richard Bruton stating last November that we need a “revolution in how we live” if we are to meet the challenge. Then, this January, Leo addressed his party colleagues with a speech which was dominated by the environment – an amazing feat of linguistics given the silence on the topic since his party came to power. Although there have been no meaningful actions to back the rhetoric at least all the words were there in the right order – with one gaping hole: nowhere in the speech could Leo bring himself to utter the words ‘nature’, ‘ecology’, ‘biodiversity’ or ‘extinction’. Why? I can only assume that if the words are not coming out of the mouth then the thoughts are not in the head. And why should the thoughts be in the head? We have a Minister for Heritage, Josepha Madigan, whose remit is nature conservation and in whose department sits the National Parks and Wildlife Service but has yet to say anything of coherence on the topic. When the World Wildlife Fund and the Zoological Society of London published their report last October revealing how we had lost 60 per cent of the world’s large animals in only 40 years, Madigan’s normally buzzing Twitter account fell silent. This follows the form of her predecessor Heather Humphreys as well as Jimmy Deenihan, the Fine Gael Minister in charge before Humphreys who told The Irish Examiner that he would have preferred if nature wasn’t part of his portfolio at all. Even the Fine Gael 2016 manifesto had only two references to nature: one on the stalled nature of the Middle East peace process, the other on the nature of the steady growth of the economy. But as Michael Viney showed back in 2002 our politicians’ inability to talk about nature is not confined to Fine Gael. Labour’s Joan Burton recently posted a video online talking about the value she places on protecting the water quality of our canals but couldn’t bring herself to mention the River Tolka in her constituency and the fact that it is among the most polluted and degraded in the country. Meanwhile, our media writhe in discomfort at talk of birds or flowers or fish in any other context than pretty adornments to the far more important affairs of us humans. It’s not only Leo who needs to learn the language of the natural world – if we are to save the planet we all need to find the words.